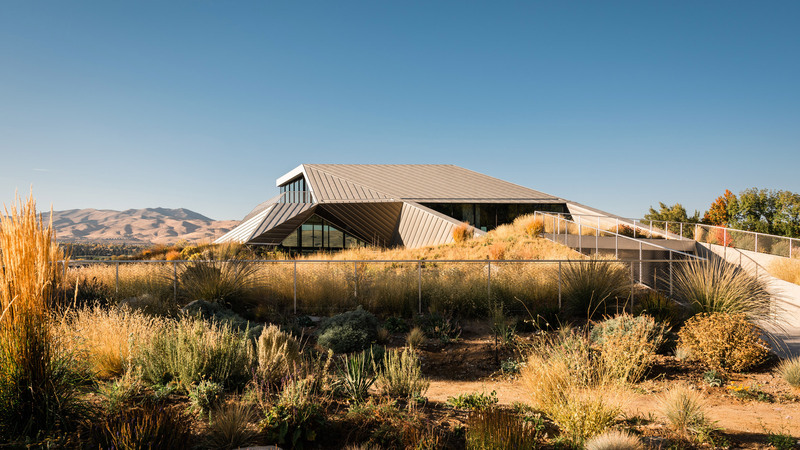 California firm OPA has completed a house for the rolling desert landscape of Nevada, with slanted zinc-clad sections intended to appear as an extension of the terrain. 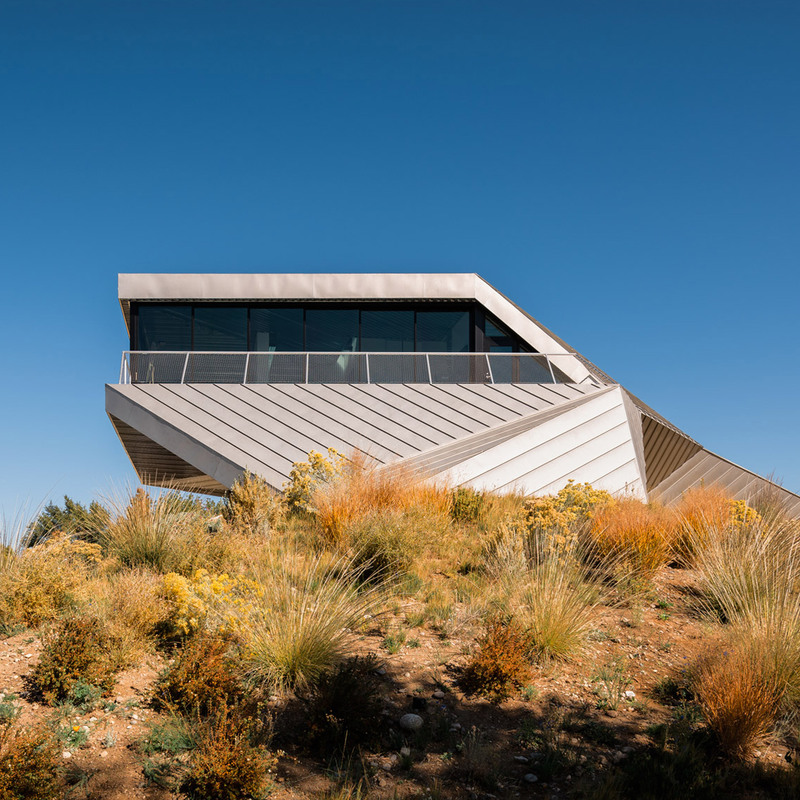 Shapeshifter House is a three-storey family home that spans 5,900 square feet (548 square metres) across an arid site, complete with views of the Sierra Nevada mountains and Reno in the distance. 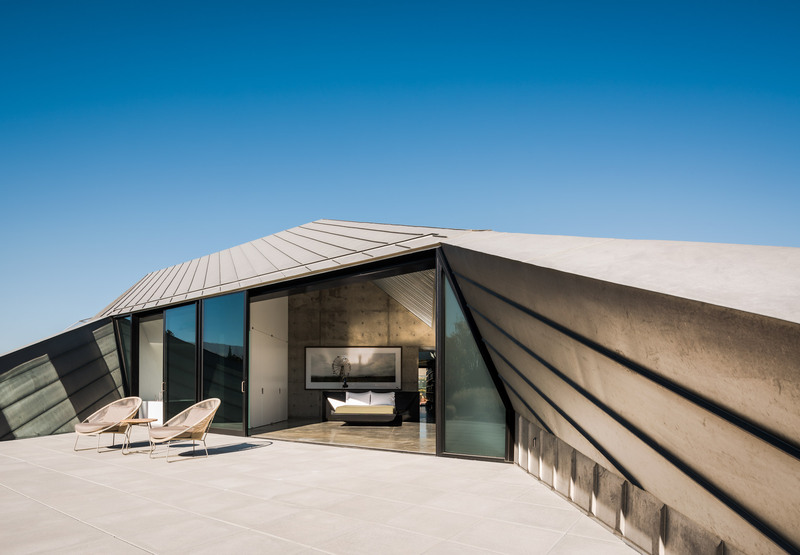 Based in San Francisco, Ogrydziak Prillinger Architects (OPA) built the house for two art collectors and dealers, who specialise in contemporary works and pieces from the American West. 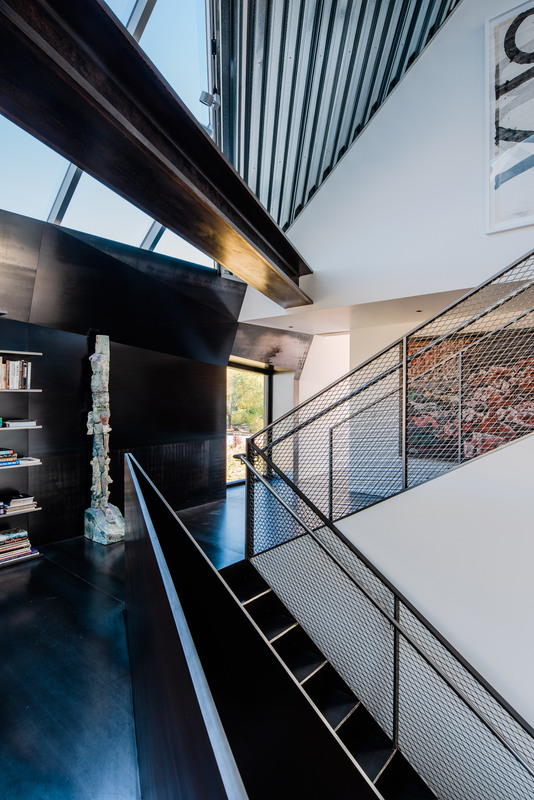 “They wanted a house that would both reflect the contemporary moment and be explicitly of the West,” said the firm. To design a suitable project, OPA referenced notions regularly associated with the American frontier and the Southwest desert. Themes of experimentation, futurism, otherness, and the visual of a barren wasteland were all cited by the studio. “Enduringly mercurial, [the desert] is a sandbox that changes forms to fit the imaginations of the user, a space of ambivalence and uncertainty,” said the firm. As a result, the house was designed with a highly contemporary and angular form, which is intended to merge into the surrounding landscape. 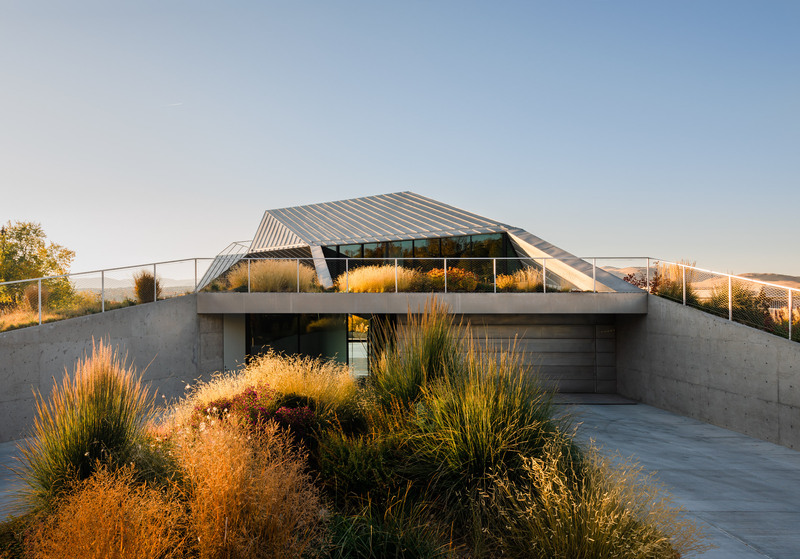 “We reshaped the site into anticlines and synclines, dunes and blowouts, and gradually the form of the house emerged with the terrain,” the firm said. Sculpted earth mounds surround the home, with portions form its roof. These heaps of earth, along with thick walls, help to reduce solar heat gain. The terrain is planted with dozens of native wildflowers, bushes and grasses, which further enmesh the home into the natural landscape. “Landscape informs the architecture to the point that the two are inextricable: another desert mirage,” said OPA. The exterior of Spaceshifter House comprises long zinc panels that serve as external walls and roofs, along with large amounts of glazing. The metal panels link to form large, irregularly shaped sections, which are then joined together at various angles and slants to create the building envelope. “Invoking the desert as a shapeshifter par excellence, the project began by treating the ground as a fluid material that allows different forms to emerge, then flicker or dissolve into other forms,” OPA said. 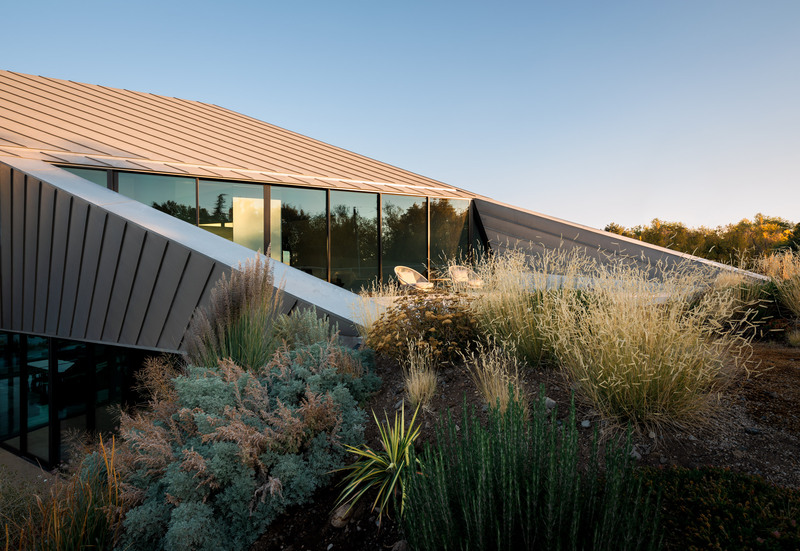 Spatially, the house has numerous edges, angles, and lookout points. Upon entering at the courtyard level – past a wine cellar and a two-car garage – is an open-plan living room, dining area and kitchen. The two upper floors both contain a bedroom, a bathroom and a private terrace. Additional areas like a study and gallery areas complete the home. Much of the residence features angular black ceilings, floor-to-ceiling glazed sections, white walls and moments of exposed concrete. Structural H-beams overhead, steel slabs for rails, and polished concrete floors add to the industrial atmosphere. 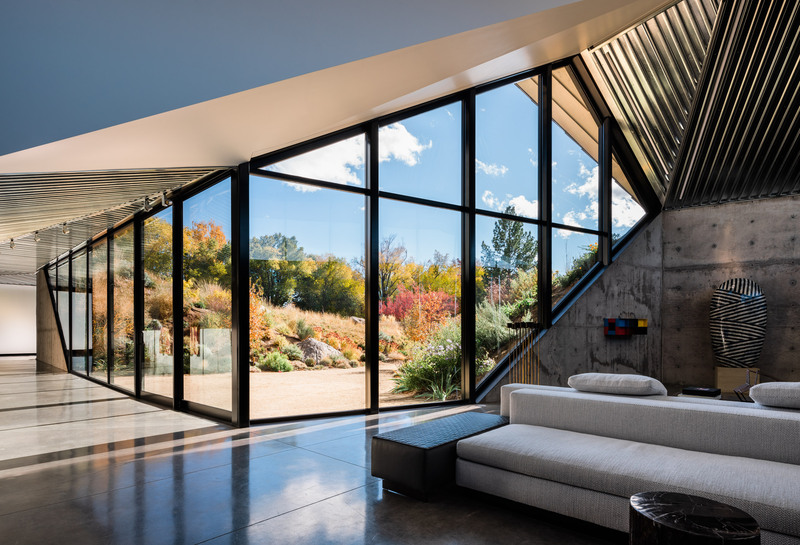 Art pieces and sculptures are interspersed throughout and help to soften the home, while vistas of native vegetation link the contemporary interior to the scrubland beyond. 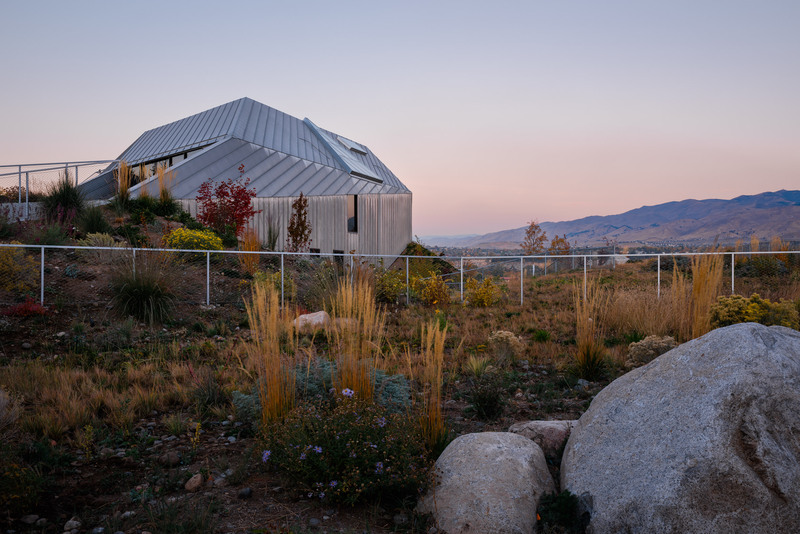 Other examples of houses in the American Southwest include a white rectangular house in Arizona with outdoor living spaces by The Construction Zone, a residence wrapped in weathered steel and glass near Phoenix by Wendell Burnette Architects, and a house covered in sheets of rusty Corten steel to match the colour of the earth by Imbue Design in Utah. The post Shapeshifter House by OPA emerges from Nevada site as a “desert mirage” appeared first on Dezeen.